"The impact at Mother Emanuel has been far reaching," said Pastor Eric Manning, who currently leads Emanuel's congregation. "We visit the crime scene every day." Blondelle Gadsden, sister of slain Myra Thompson, said, "Even though we're at a point where death has been the sentence for him, my heart still goes out to him in hopes that he would repent to save himself from himself. I can't think of anything worse that he could do at this point than to not accept Christ and try to make his days on this earth a little bit more peaceful." The judge also heard from Roof's grandfather, Columbia attorney Joe Roof. "I want everyone to understand that nothing is all bad, and Dylann is not all bad," the elder Roof said. He added that he and his wife pray for the Emanuel families every night, and are sensitive to their problems. "We have been distressed and just sick over what has happened to these families," the grandfather said. 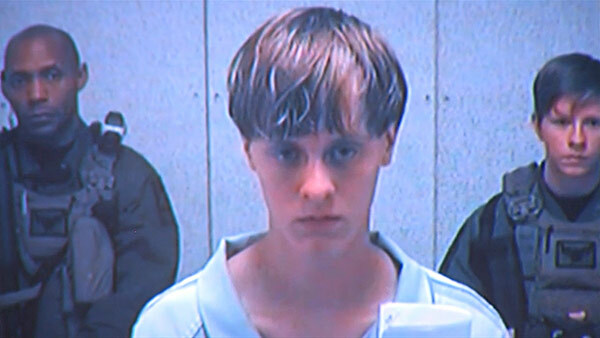 After Monday's hearing, Roof, 23, will return to a local jail, while technically in the custody of the U.S. Marshals Service, until he's transferred to a Bureau of Prisons facility "in short order," a law enforcement official with knowledge of the case told The Associated Press. The official spoke on a condition of anonymity because he wasn't authorized to speak publicly about the case. Survivors of the shooting also spoke in court during the federal trial, evoking chilling images of the bloody Wednesday night tableau. Jennifer Pinckney, the widow of slain pastor and state Sen. Clementa Pinckney, brought some jurors to tears with her description of how she shielded her young daughter in her husband's office as the bullets rang out in the nearby fellowship hall. "I have the right to ask you to give me a life sentence, but I'm not sure what good it would do anyway," Roof told jurors in his closing argument. "I still feel like I had to do it." Through their attorneys, some relatives and survivors spoke out when the state plea arrangement was announced by prosecutors last month. Charleston attorney Andy Savage, who represents several of the families, said the arrangement to transfer Roof to a federal institution and away from Charleston "is the preference of all victims that I represent." Savage said Felicia Sanders, who watched as both her son and her aunt died in the shootings, summed up her feelings in two words: "Praise God." Manning told the judge on Monday that the church's resiliency "will continue to inspire not only the church members ... but we would pray the entire state, country and world. For surely love is always stronger than hate, and hate will never win. Associated Press Writer Jeffrey Collins in Columbia, South Carolina, contributed to this story.